Root Canal vs Extraction: Which is Better for You? If you have to deal with an infected or damaged tooth, you are probably very interested in the root canal vs extraction debate. Is it better to have a root canal or extraction? Which option is better: root canals and crowns, or extraction and bridges/partial dentures? The root canal procedure implies preserving denture integrity. However, the endodontist will have to remove the pulp inside the tooth and replace it with an artificial material. 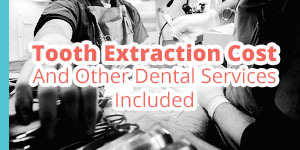 On the other hand, an extraction means that your tooth will be removed, and most likely replaced with an implant. We invite you to take a look at our root canal vs extraction guide to better understand each procedure. Before going into the differences between root canal procedure and tooth extraction, you should be aware of the symptoms that indicate that either procedure is required. Teeth tenderness to chewing and touch. Prolonged dental sensitivity to cold or heat, which consists of a lingering or non-lingering pain. If the pain doesn’t go away for an hour or more after drinking cold water, it means that the pulp inside your tooth is infected, and that the nerve is most likely dead. Positional pain is another type of sensitivity which appears when you run, suddenly stand up, or lie down. In this case, you might have a cavity, an abscess, or worse, a dead tooth. Spontaneous pain is another symptom which kicks in when you have a cold or hot drink. When you experience this type of pain, it means that the endodontist can still treat the pulpitis. However, if you suddenly experience a wave of pain without any stimulus, you probably have a dead tooth. Fistula on the gum is a tiny red, yellow, or white pimple-like infection. Keep in mind that it doesn’t always appear near the infected tooth. Therefore, it might be quite challenging for a dentist to figure out which tooth is infected. An abscess is usually discovered on an X-ray because it is a hole in the jawbone which appears like a dark spot on the X-ray. This happens because the bone doesn’t grow in the infected area. Last but not least, referred pain is the worst. This type of pain does not only manifest in your tooth but also refers to other body parts, such as surrounding teeth and jaw, just to name a few. Root Canal vs Extraction: What to Expect During the Procedures? Even if it might be a tough call to choose between tooth extraction vs root canal, we will describe what to expect during each procedure. Endodontists first numb the area to make sure patients won’t experience any pain during the dental procedure. Then, they use a special tool, known as an elevator, to loosen the tooth. This way, the tooth becomes easier to extract. Next, the endodontist uses the forceps to extract the tooth. After the tooth has been extracted, the patient has to bite a piece of gauze for around 45 minutes to allow for the blood to clot. The dentist first numbs the area, then digs an opening in the affected tooth, and removes the diseased pulp. After the dentist has removed the pulp, its chambers are carefully cleaned to ensure that no bacteria remains. Once the chambers have been cleaned, they are filled with a dental material known as ‘gutta percha,’ which substitutes the damaged pulp. In some cases, the endodontist places a crown on top of the tooth to restore its strength and appearance. All things considered, if we think about root canal vs extraction, with root canal you get to keep your tooth. Plus, you don’t lose the bone around it. On the other hand, extraction is a much simpler procedure. Even so, people usually leave it as a last resort. 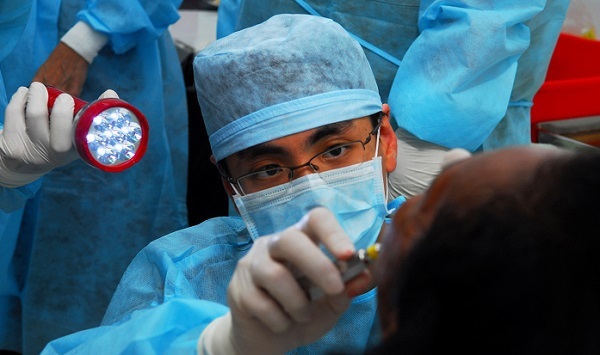 After extraction, some patients will go for a tooth implant, or a bridge. However, artificial teeth might make it harder for you to chew some types of foods that are important to maintain a healthy diet. Root canal treatment is almost painless, thanks to a powerful anesthesia. Nevertheless, you will experience a greater discomfort after root canal treatment compared to extraction. Even so, if you want to save damaged teeth which are either diseased or have a dead pulp, root canal might be a good choice. Patients have to be aware that, after both procedures, they will experience some discomfort and pain. There is the possibility that you will experience light bleeding for around 24 hours after the extraction, but this is only natural. Also, you might get facial swelling, but with some ice packs, the inflammation will rapidly go away. 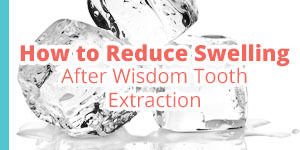 Until the extraction site heals, patients are recommended to eat cool, soft foods to avoid irritation. The healing process usually takes around two weeks. Meanwhile, you should brush your teeth gently to prevent irritation. After this dental procedure, you will experience some pain for several days. It might switch from a dull ache to acute or sharp pain, although you should be able to deal with this level of tenderness with a painkiller recommended by your dentist. Keep in mind that if the pain becomes too intense, or if it doesn’t completely go away, you should see your endodontist. The prices for root canal treatment and extraction usually vary, depending on the dentist and the technique used. If you want to go for a root canal treatment, the endodontist assessment is between $700 and $900. Also, core filling or crown post procedure costs between $500 and $1,300, the anesthesia included. This means that the entire procedure ranges from $1,200 to $2,200. However, this depends on how expensive the dentist you choose is, as well as the materials they decide to use. The average cost of extraction ranges between $75 and $300 per tooth for non-surgical extraction. Surgical extraction, which includes anesthesia, can cost between $150 and $650. Surgical extractions that are more complicated, as well as soft tissue extractions cost from $185 to $600. Finally, wisdom tooth extraction can cost you between $75 and $200. After taking a look at your damaged or diseased tooth, your dentist will present you with the best alternatives you have. When you go to your next dental appointment, you will be more prepared to talk about your choices again. Ask your dentist if it is better to perform a root canal and put a crown on, or extract the tooth. Root canal vs extraction might be a tough call, so you should allow your dentist to have the final word. How was your experience with any of these procedures? Share your thoughts with us down below! I have had both a root canal and an extraction. Neither are fun, but if I had an option, I would choose root canal. I would much prefer to keep my teeth if possible rather than losing them and having to replace with an implant. Thank you for sharing your experience! The rest of our readers will surely appreciate the opinion of someone who has had both an extraction and a root canal.